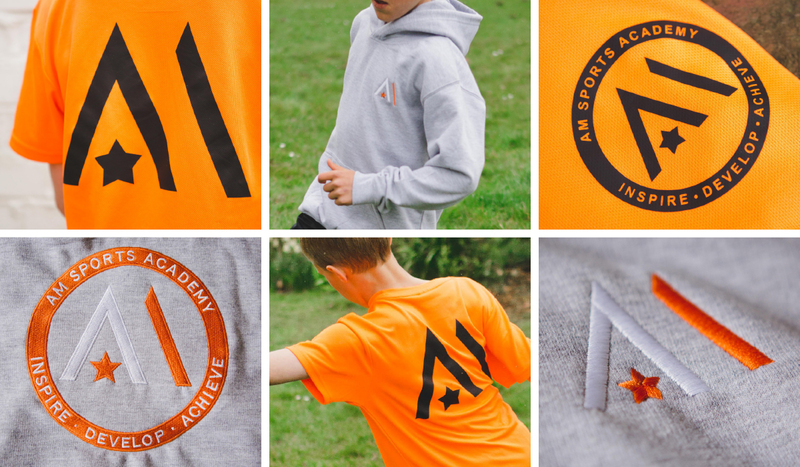 Welcome the section of our site where you can purchase the exclusive AM Sports Academy performance and leisurewear range. 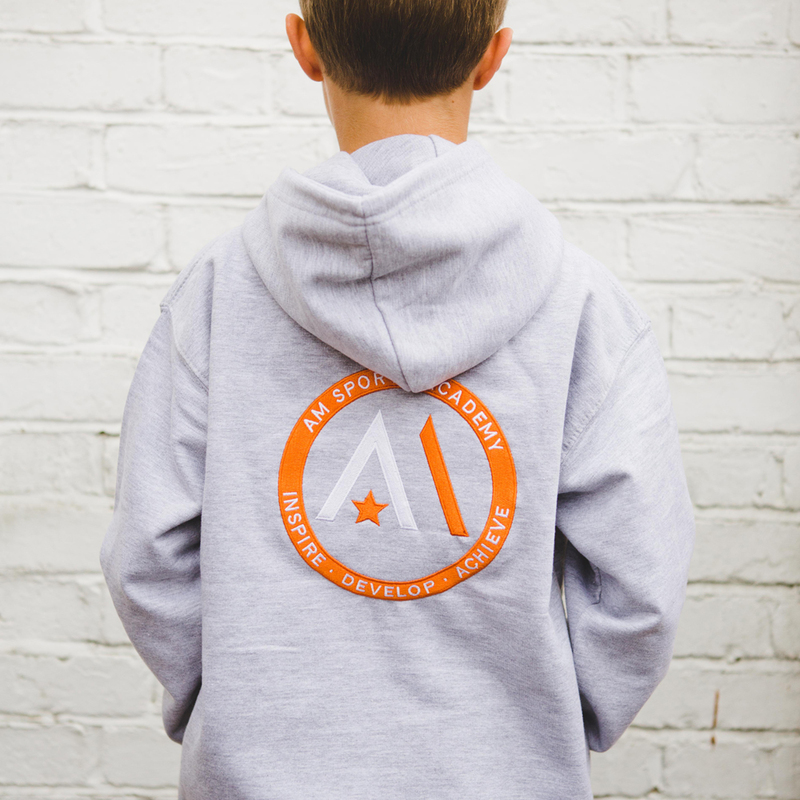 We’re have two clothing items – a performance T-shirt and a stylish hoodie, both designed in the bold and distinctive colours of the Academy and flexible to either be worn for camps and clubs, or simply when you’re relaxing at home. 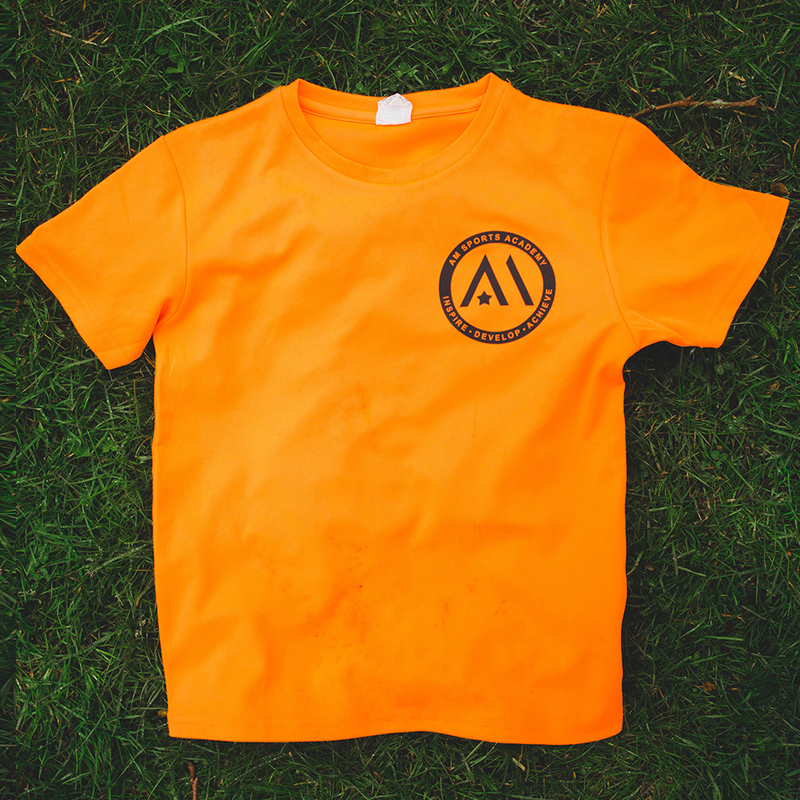 Bearing the AMSA logo, the kit is distinctive and unique. New! We also stock an AMSA branded gymsac for keeping all of your child’s kit together in one place! The clothing is available in the following sizes, simply click on the relevant item on the left, and place your order!